The federal finance minister has called for a meeting with his provincial counterpart in Ontario and the Toronto mayor. Bill Morneau has written to Ontario finance minister Charles de Sousa and Mayor of Toronto John Tory expressing his concern about high household debt and housing affordability. Morneau says that he is worried about the ability of Ontarians to be able to become homeowners amid increasing home prices, especially in Toronto. 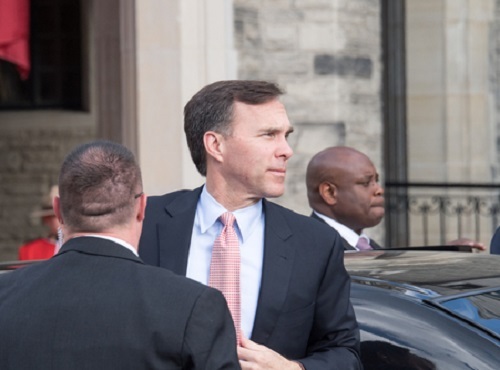 "I believe we must take a closer look at these evolving market conditions and take stock of its implications for our largest urban area," the finance minister wrote. No date has been set for the summit.